Tablet computers are small personal devices that are somewhat of a combination of a smartphone and a PC. 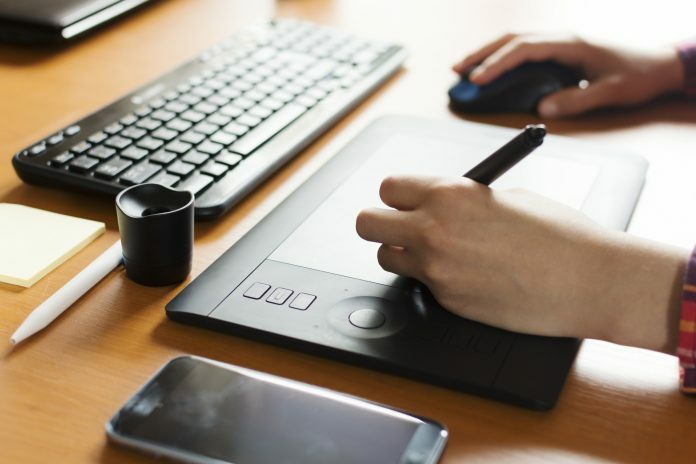 Many of these devices use pens or styli as a medium of interaction, which makes pen-specific tablets great for visual artists that create digital works. 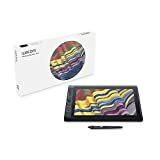 Generally, these pen tablets also have special pressure sensitivity that is mapped to parameters like brush stroke, which makes creating digital art with this type of device a more natural experience than by simply drawing with a finger on a tablet. What Is a Pen Tablet? A pen tablet is a tablet computer that is geared toward the creation of digital art. These types of tablets usually include compatible pens that detect the pressure of your pen stroke. Some devices are even able to detect the tilt of the pen in order to create unique works that live somewhere between the digital and the organic. 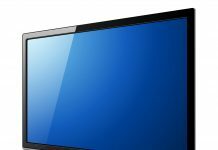 Other tablets are compatible with your current computer software and will show your sketches on your computer screen rather than on the face of the tablet, while others are capable of displaying images on the tablet’s surface. Ultimately, the different types boil down to the preference of the artist. What Does a Pen Tablet Do? These types of devices are intended to help artists find a digital medium that lets them emulate hand-drawing. Generally, this is either done by a tablet that can sense pressure, a pen that can sense pressure, or a combination of both. 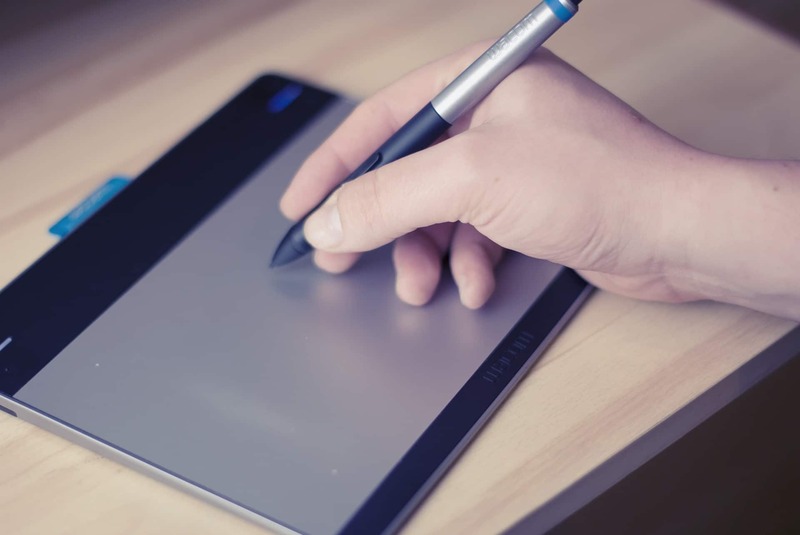 A pen tablet works similarly to a regular tablet, but it is dedicated to the creation of digital art. These devices use pressure and touch sensitivity in order to display strokes made with a compatible stylus. Many of these types of tablets can be purchased from retail locations that sell home electronics. 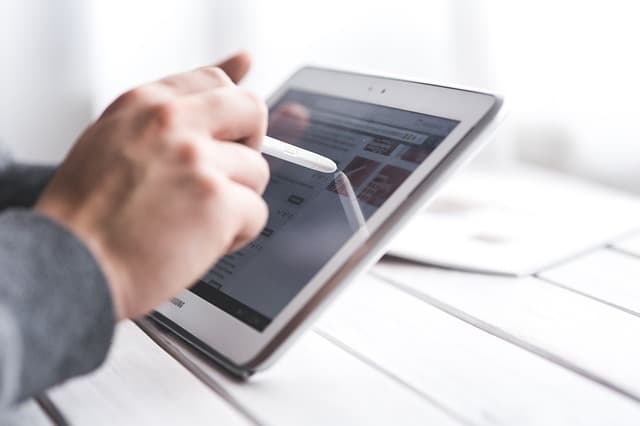 We understand that it is important to offer honest and accurate information when it comes to the purchase of your new pen tablet, and because of this, we also would like to make you familiar with our reviewing process. First, we research all of the different products down to their most minute detail. Then, we compare these details with one another in order to find out how they stack up. Finally, we take a look at what consumers who have already purchased the devices have to say about them. By reviewing this feedback, we gain a clearer understanding of the product as a whole. The Wacom Cintiq Pro includes a pen stylus that can detect pressure sensitivity up to 8,192 levels. The Pro Pen 2 also has tilt recognition giving you a broader range of motion and more control over how you create your sketches. The Wacom Cintiq Pro also comes in a variety of different sizes to match your personal needs. It is available as the Wacom Cintiq Pro 32, 24, 16, and 13. The Wacom Cintiq Pro may be less cost-effective when compared to some other tablets. 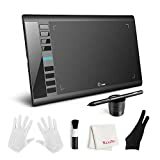 The Wacom Cintiq Pro can be purchased from amazon. The Wacom Cintiq Pro has a limited warranty of two years. The Samsung Galaxy Tab S3 is great for those that want a little more from their tablet than only having the capability to create sketches. The Samsung Galaxy Tab S3 is a modern tablet computer that will give you access to all of your favorite applications along with the ability to sketch with the included Samsung S Pen. The S Pen is pressure and angle sensitive, which gives you a wide range of brushes and palettes that you can create with. The Samsung Galaxy Tab S3 has a detachable keyboard that can be connected to productivity when you are not sketching. The Tablet offers you 12 hours of battery when streaming video and can fully charge in three hours. Some users may want a dedicated tablet. 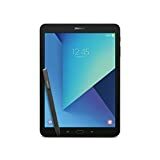 The Samsung Galaxy Tab S3 is available here from Amazon.com. The Samsung Galaxy Tab S3 includes a one year warranty. The Apple iPad Pro is another great option for those who would rather have a multi-use tablet device rather than a dedicated tablet simply for artistic purposes. The iPad Pro offers more power than most laptops, and the Retina Display makes sure that all of your creations look their absolute best. Notes become even more advanced with the searchable handwriting function. Write it now, and find it later. The newly introduced dock makes the iPad Pro feel more like a “real computer” than ever before. The Apple Pencil is not included. The iPad Pro includes a one-year warranty. The Wacom MobileStudio Pro can handle any 2D, 3D, or CAD projects that you throw at it. This 13.3-inch pen tablet also comes with the Wacom Pro Pen 2, which remains one of the best digital pens on the market, giving you four times the accuracy of the original Wacom Pro Pen. The Wacom MobileStudio Pro details all of your art in stunning 4K. The etched glass surface gives just enough resistance that it creates a similar feeling to sketching on paper. Some users may be deterred by the cost. The Wacom MobileStudio Pro can be purchased here from Amazon.com. This pen tablet comes with a two-year limited warranty. The XP-Pen Deco has a large surface for letting all of your expression out. With an area of 10 x 6.25 inches, and a thickness less than a centimeter, the XP-Pen Deco 01 is ultra-portable. Additionally, with compatibility for both left-handed and right-handed users, this pen tablet is incredibly versatile. This model features eight express keys that can be easily customized. Some users have noted that the software is slightly buggy on Macs. 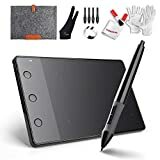 This model of pen tablet can be purchased on Amazon.com. The XP-Pen Deco 01 has a one-year warranty. The Huion H420 is able to function with most graphics applications like Adobe Photoshop, Pixologic ZBrush, 3D MAX, and Corel Painter. Additionally, this model features three buttons with customizable functions as well as a pen with 2,048 pressure sensitive levels. With the Huion H420, there is no need to buy a separate stylus. The tablet is an affordable model. Some users have noted that this model is on the smaller side. 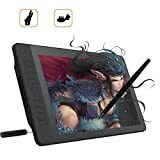 This pen tablet can be found on Amazon.com and is Prime eligible. This model includes a one-year warranty. 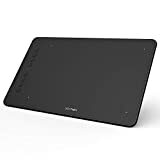 The Ugee M708 Graphics Tablet is equipped with a 10 x 6 inch drawing surface with a textured finish that will appeal to artists who are transitioning to digital from pen and paper. Moreover, the included pen will never need to be charged and has over 8,000 levels of pressure sensitivity. 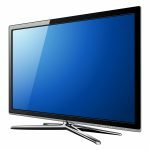 The Ugee M708 is extremely easy to set up and is an overall user-friendly experience. A few users have complained that some computers may have issues with the driver. 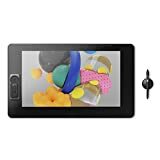 This Ugee tablet can be purchased from Amazon.com and is Prime eligible. This model is covered under a one-year warranty. The Veikk S640 features a pressure sensitive pen that does not need batteries or charging. While the 6 x 4 inch drawing area may turn away some users, the portability and convenience make it a great pen tablet for on-the-go artists. This pen tablet is compatible with both Mac and PC as well as most major graphic design software. Additional drivers may need to be downloaded during the setup of this device. 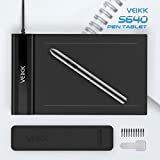 The Veikk S640 is available for purchase from Amazon.com. The device is Prime eligible. This model of pen tablet includes a limited warranty. 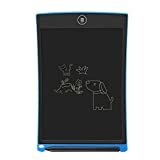 The Sunany LCD Writing Tablet has an 8.5-inch drawing surface and is a great first step into the realm of digital drawing. This makes it the perfect introductory pen tablet for kids. The low cost of the Sunany LCD makes it a great entry product for young doodlers. Users looking for a fully-fledged pen tablet will be disappointed. This pen tablet is available from Amazon.com. The Sunany Writing tablet includes a limited warranty. This entry from Gaomon is for serious graphic designers. It features a large 15.6-inch area for drawing as well as a pen with 8,192 levels of sensitivity. This model is also equipped with a full HD resolution screen. This model features 10 programmable keys to make your workflow simple and customizable. The pricing of the Gaomon tablet may deter some potential buyers. This model can be purchased from Amazon.com. The Gamon PD1560 comes with a one year warranty. Wacom Cintiq Pro comes out on top in this contest, partly due to the Wacom Pro Pen 2. It is four times more pressure sensitive than the original Pro Pen with 8,192 levels of pressure. Additionally, it is four times more accurate with almost no lag. The Pro Pen 2 has natural support for the tilt of the pen as a parameter that affects your composition. You also get a natural drawing experience with the pen and tablet combination, and the tablet can be positioned at an angle with its stand. This tablet is great for illustrating, animation, and 3D modeling with its large workspace, and it is compatible with both Mac and PC giving you the flexibility to continue using whichever platform you prefer. Additionally, the tablet’s multi-touch gestures allow you to zoom and rotate just like you would on your smartphone, making the interface seamless and intuitive. Although the price may be higher than some digital artists might want to pay for a pen tablet, the Wacom Cintiq Pro 13 Full HD delivers when it comes to quality.